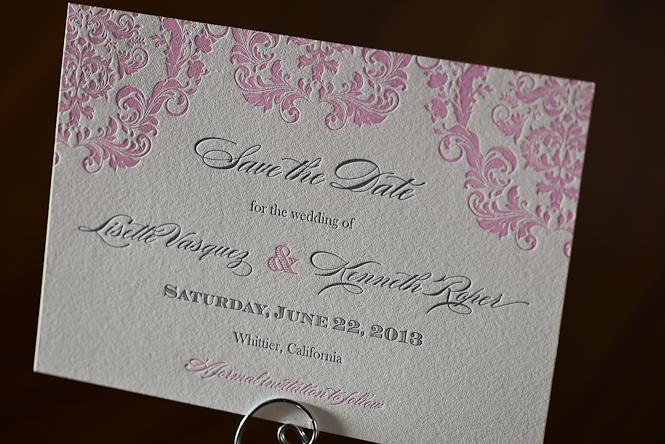 When it comes to printing stationery for weddings, I love printing Save the Date Announcements Cards! I feel like it sets the tone for the rest of the letterpress invitation suite. This gives the guests a glimpse of what’s to come…a teaser, if you will. Working with Lisette and Kenneth was so much fun! I had the pleasure of meeting them in person and they are the sweetest couple I ever did meet! They were so relaxed and were way ahead of the game when it came to their wedding planning; I love that! 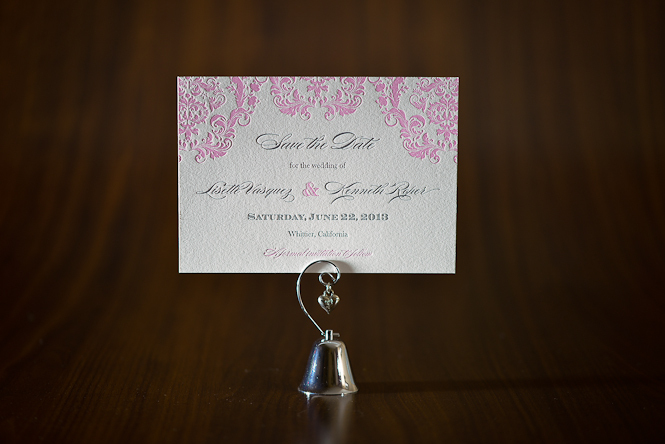 These were letterpress printed on 110# Pearl White cardstock which is a soft white. I feel it definitely fits well with the romantic theme of their cards, especially with the pink details. Lisette and Kenneth also had other pieces printed with us as well (not yet pictured). Their invitation suite consisted of invitations and RSVP cards.